Also known as duplex stainless steel or 2205, S31803 stainless steel is a steel which is being used for more and more applications every day. Possessing a combination of strength and anti-corrosive properties, it can do many things which other stainless steels quite simply can’t do. Looking to garner a better understanding of S31803 stainless steel? If so, we have you covered. Let’s get into the basics, shall we? What Does S31803 Stainless Steel Consist Of? S31803 stainless steel is made out of two different types of steel: austenitic steel and ferritic steel. By combining these steels, S31803 is capable of serving a number of different purposes at a reasonable price. Dense in nickel and chromium, austenitic steel is an expensive steel known primarily for its anti-corrosive properties. It withstands not only high levels of heat, but saltwater as well. In addition to nickel and chromium, austenitic steel also consists of a number of other elements. These elements include copper, phosphorus, aluminum, and titanium, to name just a few. Whereas austenitic steel is known for its anti-corrosive characteristics, ferritic steel is known for its strength and structural characteristics. High in chromium, it also contains titanium, aluminum, and a variety of other metals. Because ferritic steel doesn’t contain a great deal of nickel, it’s much cheaper than austenitic steel. This is generally why it’s used in S31803 stainless steel; it counteracts the high prices of austenitic steel. In What Ways Does S31803 Stainless Steel Excel? When combined, ferritic steel and austenitic steel create an alloy of steel which is extremely versatile. S31803 stainless steel excels in a great many areas, all of which will be reviewed below. While S31803 stainless steel isn’t the cheapest stainless steel on the market, it offers terrific value for its price. No other stainless steel at its price level is capable of doing as many things as it is capable of doing. This has made it a popular choice for a wide range of applications. Where most industries find value in S31803 stainless steel is in its anti-corrosive properties. This stainless steel does a terrific job of withstanding corrosion and oxidation, thriving in conditions in which saltwater or fire is present. Because of its resistance to saltwater, you will often see it being used in underwater industries such as the offshore drilling industry. Though it’s not the strongest type of stainless steel out there, S31803 stainless steel is still very strong. Not only can it hold a great deal of weight, it can withstand a great deal of physical trauma as well. This isn’t to say that S31803 is rigid, however. Despite its toughness, strength, and durability, it’s still fairly easy to shape. This allows it to be used for everything from pipes, to fittings, and more. Looking for a stainless steel which can withstand the perils of water? S31803 stainless steel is just the stainless steel you’re seeking. Whether you’re dealing with saltwater or freshwater, this stainless steel has the characteristics needed to thrive. Not only will it resist corrosion due to oxygen, but corrosion due to chloride as well. Do you have a need for S31803 stainless steel? Looking to utilize S31803 stainless steel products? If so, we here at Great Plains Stainless are the people to see. 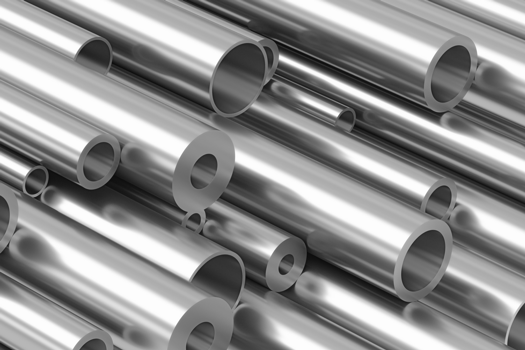 We offer S31803 stainless steel products of all types and sizes, including, but not limited to, pipes, bars, and fittings. Regardless of your location in the world, we can ship them to you in a timely manner.